fantasy art and tree chatter of aquariann: Treasury Tuesday: Fire! Summer is heating up! Marisa found several hot handmade items that will have you running for your wallet instead of the nearest exit. 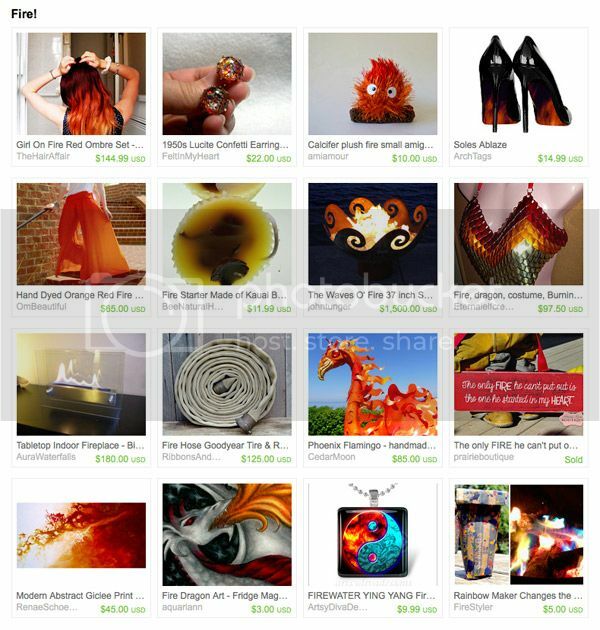 Her fiery fantasy finds include dragon costume scalemail top by Eternal Elf Creations, flamingo phoenix sculpture by CedarMoon Studio and my fire dragon magnet. If I could pull off the hair style in that first photo, I would be making a hair appointment tomorrow. I love the red and black fire look in all of these designs! great treasuries! :)I've found some new faves! This is an awesome treasury! I am lovin that Phoenix Flamingo. Way cool.